You’re at a party and someone offers you a Coke. You decline, saying “I don’t drink soda-it’s really bad for you”. Or how about at a birthday party and you decide to skip the cake because you are “watching your figure”. Or at an office breakfast and you make a comment about how the donuts will give you all heart attacks. How do you think those comments make other people feel? Commenting about how unhealthy or bad a certain food is, especially in the company of others who are consuming the food or have worked hard to make the food is FOOD-SHAMING and it needs to stop. Food shaming is something we are all guilty of at some point or another. Even if it is done inside the mind. Have you ever saw someone who appears over-weight eating at an ice cream cone and thought to yourself, “maybe he shouldn’t be eating that..” Have you ever judged yourself and felt bad after eating 4 slices of pizza? Why are we so judgmental about food? Even when consuming stereotypically “healthy” foods, people feel the need to comment. Ever order a salad when out with friends at a BBQ restaurant, and then been accused or sarcastically teased for being “no fun”, “so healthy”, or “on a diet”. Letting go of “good” food/”bad” food thinking is key to embracing a healthy, shame-free approach to eating—but that doesn’t mean that you have to consume ice cream and cookies whenever you have the slightest desire to indulge in something sweet. In other words, if you’re choosing between the fruit bowl and a chocolate chip cookie and you would legitimately be happy with either one, then by all means, choose the fruit bowl. But if you find yourself really, really wanting the cookie and you go with the fruit because you’re judging your sugar craving, that’s when your decision may lead to dissatisfaction—and maybe even overeating or secret eating later. We at Positive Eats believe that there are no bad foods and that the sooner we can break out of this food-shaming business..the happier and healthier we will all be. What do you think? Who is on board with us to end food-shaming? The Chinese food has MSG. So? Watch this video on MSG. – Do you know what MSG is? – Do we really know if it is “bad” or “good” for us? You may have heard throughout your life that MSG is something to be avoided. Something that will kill us. But what do you really know? One thing is for certain: MSG is not bad for us. Because there are no bad foods. People who consume foods with MSG are not bad people. People who use MSG in cooking are not bad people. 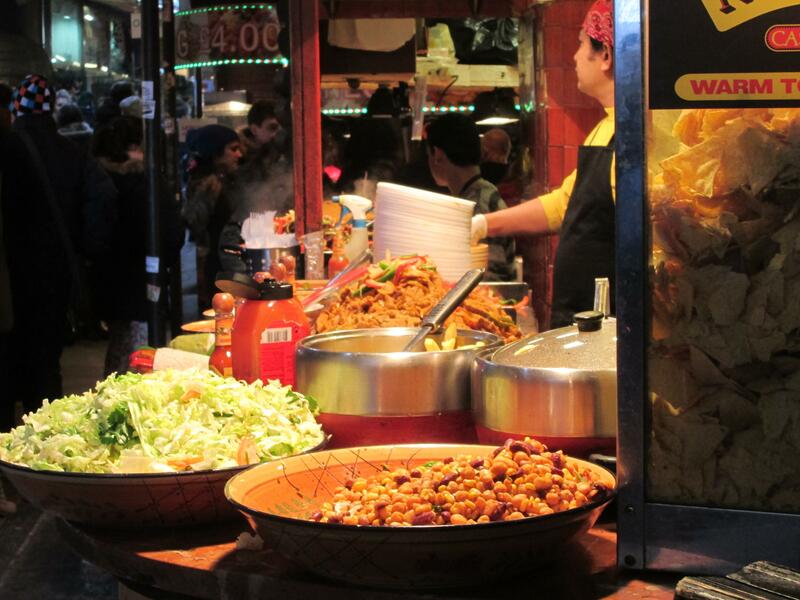 Is MSG something we should include in our daily diet? We cannot make that decision for you. If you do research and feel in your gut that it is something to be avoided, then it is your choice to do so. If you want to include MSG in your diet, then that is fine as well. Before we go food-shaming, spreading judgement, and giving other people advice on what they should and should not eat, take a step back and examine your own knowledge of the subject. The most we can do is have a discussion. Ultimately, diet is personal. Study and learn about nutrition so you can make the choice that is best for your body! And remain positive about all that you choose to consume for the healthiest and happiest life. Now for today’s irrelevant, but relevant question: Do you like Chinese food? And do you pay attention to whether or not there is MSG in the food? Milk is “Dairy”, but Cream is not? 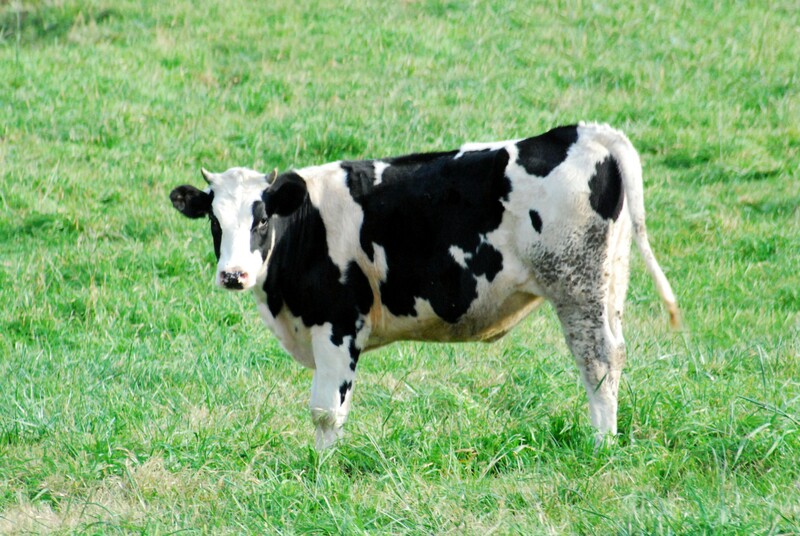 If you look at the USDA “Dairy” Food Group, you will see that not all milk products are listed as “Dairy”. Huh?? Why?? Why is Cream not dairy? And wait–Why is Ice Cream considered “Dairy”? Butter is not?? Cream cheese is not? Don’t they all come from the same thing?? What is a Mooncake? And is it nutritious? 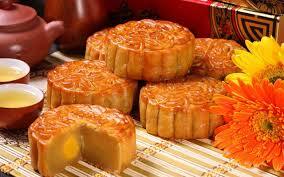 Quite simply- it is a Chinese pastry, usually filled with lotus paste, and eaten on Mid-Autumn Festival. Check out the nutrition label below! 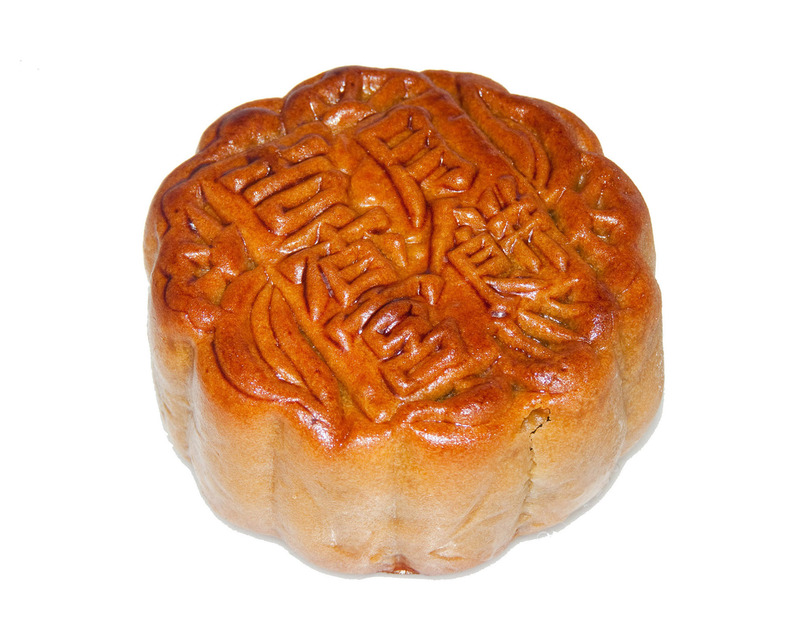 Since mooncakes are primarily flour, lotus paste, sugar, and egg yolk–they offer plenty of carbohydrates and fat. and a few other things of course. Explore the picture above to get an idea of what you are consuming when you celebrate this ancient Chinese holiday! 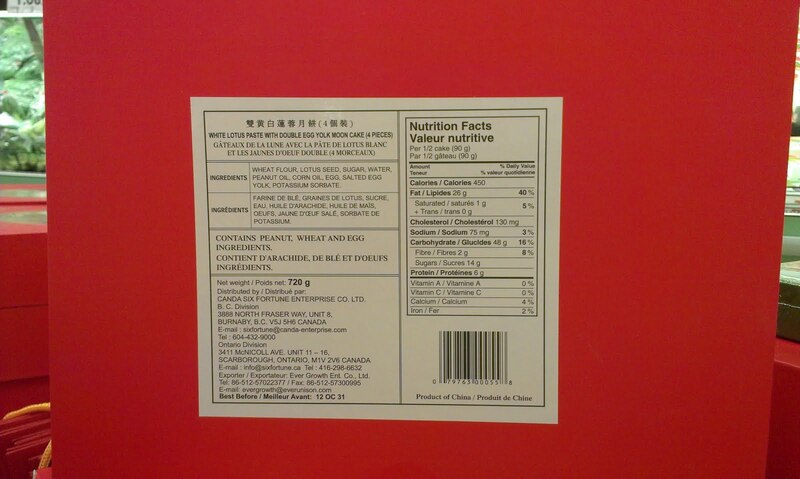 And to answer that other question: Are mooncakes nutritious? ….the answer is..without-a-doubt YES! Because ALL foods have nutrients!! What is the one thing you should NEVER do after eating? Click to read the answer! !